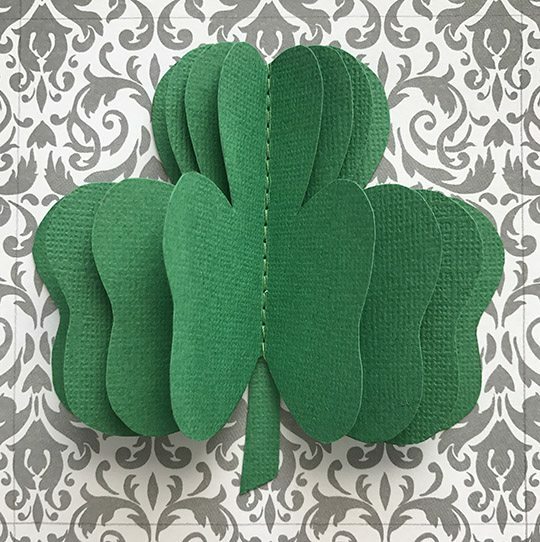 With Easter falling so early in April this year I can’t decide whether to put up St. Patrick’s Day decorations or work on Easter crafts. I’ve been flipping back and forth between the two with reckless abandon! 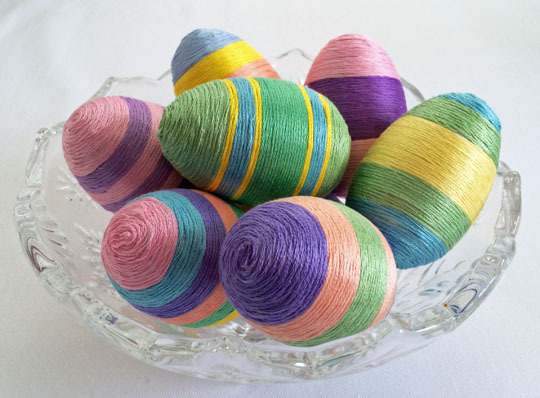 Much like the fabric balls I made for St. Patrick’s Day, today’s Easter decor project was also inspired by a Pinterest photo but there was no tutorial available. No problem! 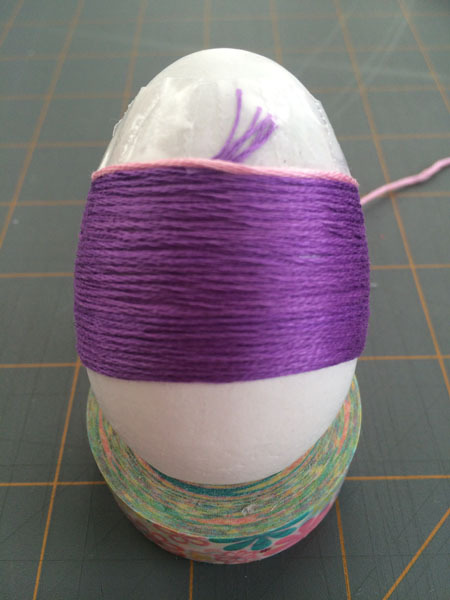 I had a bag of unfinished wooden eggs in my craft stash that were the perfect size. 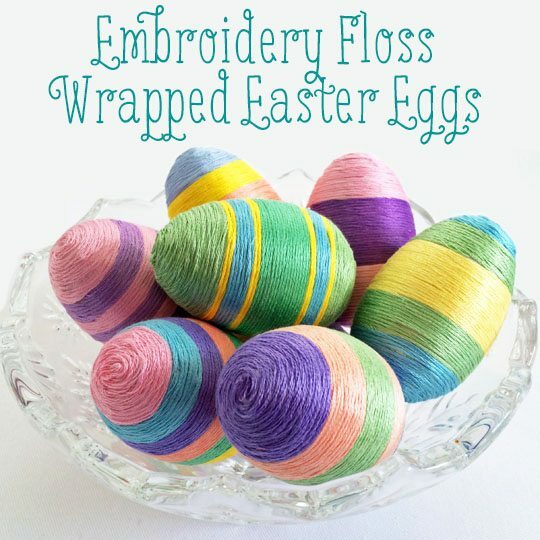 I added some embroidery floss in pretty spring colors and started noodling around with how to keep the floss in place on the eggs. I knew I didn’t want to use glue. 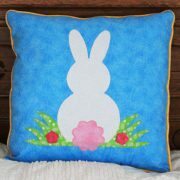 I tried that on another Easter craft project and it worked, but it made a huge mess. I found the perfect solution in my office supplies: double-sided Scotch tape. I found it easiest to start winding the floss around the middle of the eggs and work my way out to the ends. 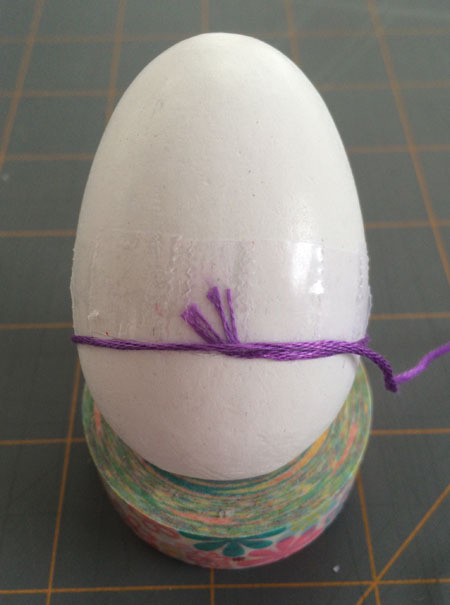 I started by sticking a row of tape around the center of the egg. To make the tape lay flat, I used a lot of small pieces rather than one long strip. 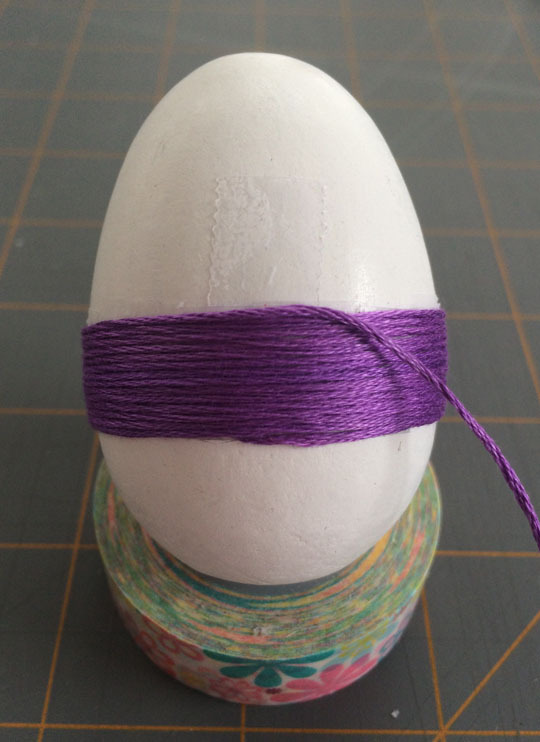 I wrapped the first round of floss around the egg with the loose end positioned so it would be covered by subsequent rounds, and kept wrapping until the first color was as wide as I wanted, adding new pieces of tape as I went along. 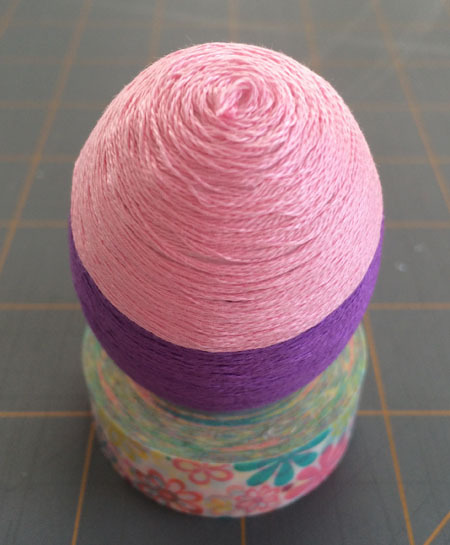 When I got to the end of the first color, I cut the floss and taped the loose end where it would be covered by the next color. I started the second color the same way I did the first one and kept wrapping, covering all the loose ends as I went. 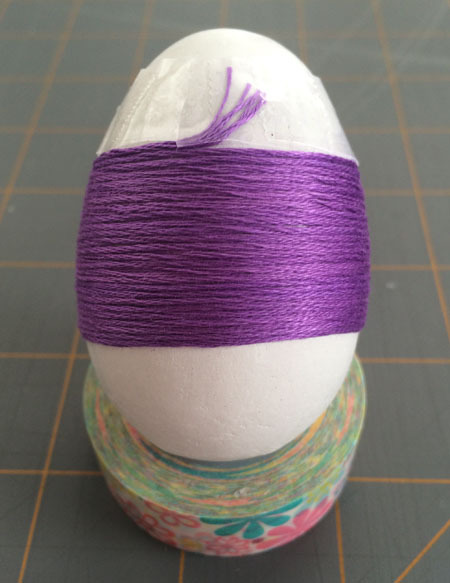 When I got to the top of the egg, I cut off the floss and used a dab of Elmer’s glue on a toothpick to tack down the loose ends. Here are the first six, ready to have the loose ends glued down. And here’s the finished project. This was definitely a craft project that required a little patience, but it was worth it. I love how they turned out. They’re the perfect addition to my Easter decorations. This is so creative and cool! I love it! Great idea to use double sided tape! I love the vibrant colors from the floss! The tape really worked well. I’m not sure it would hold heavier twine but it was perfect for this, and WAY less messy than glue. Love how these turned out! 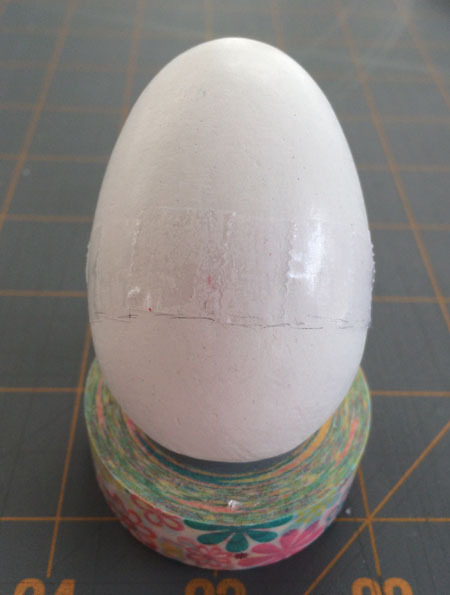 By the way, I have the same washi tape that you used as an egg stand. 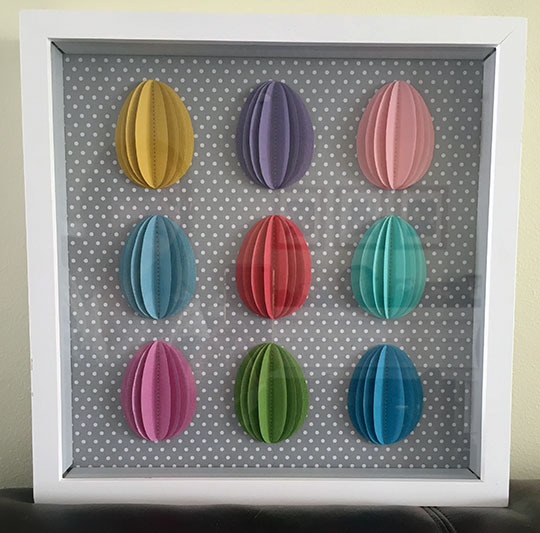 I bought it at Hobby Lobby years ago, before washi was popular (and it was cheap then!). I’m really good at buying washi tape, not so good at using so it lasts FOREVER at my house. I need some project ideas! 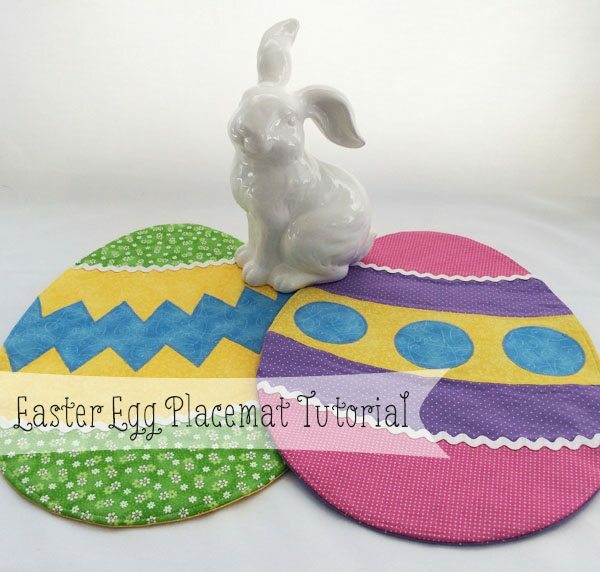 Just wanted you to know that I will be featuring this project on an Easter Egg round up as part of the create link inspire party. Thanks for linking up!